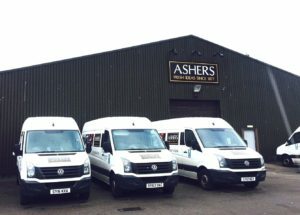 In 2002 IFT were contracted to install the food safe flooring to Ashers Bakery in Nairn. 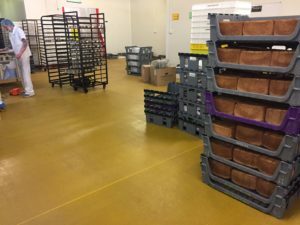 IFT installed Flowfresh HF PU to the floor and perimeter cove. 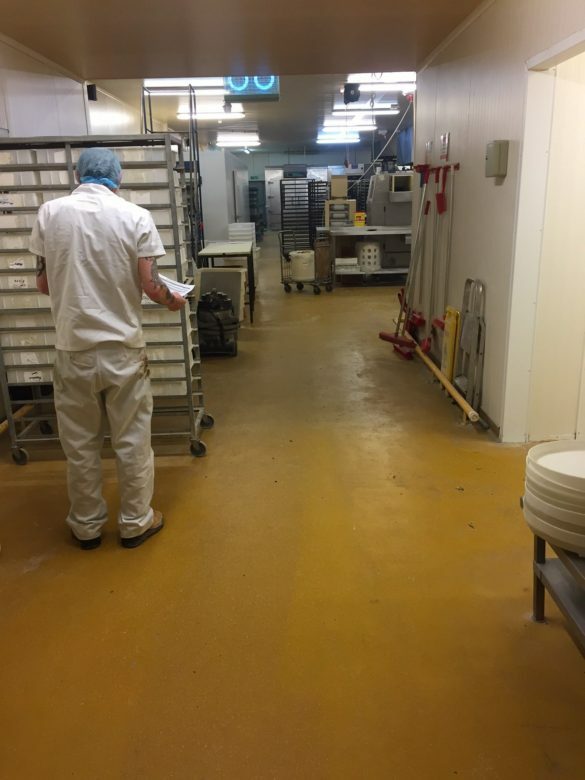 This is a heavy duty, chemical resistant antimicrobial treated polyurethane resin floor screed which is ideal for food manufacturing and food preparation areas. It also has a very high chemical resistance and is slip resistant. 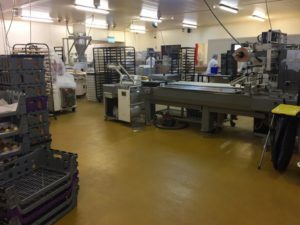 You can see from the positive testimonial received that the floor continues to perform nearly 15 years after it was originally installed. This is real testament to the quality of product and service that IFT provides. We are delighted to worked along with Ashers who are an award winning fourth generation family bakery who, like ourselves, focus on quality and service. 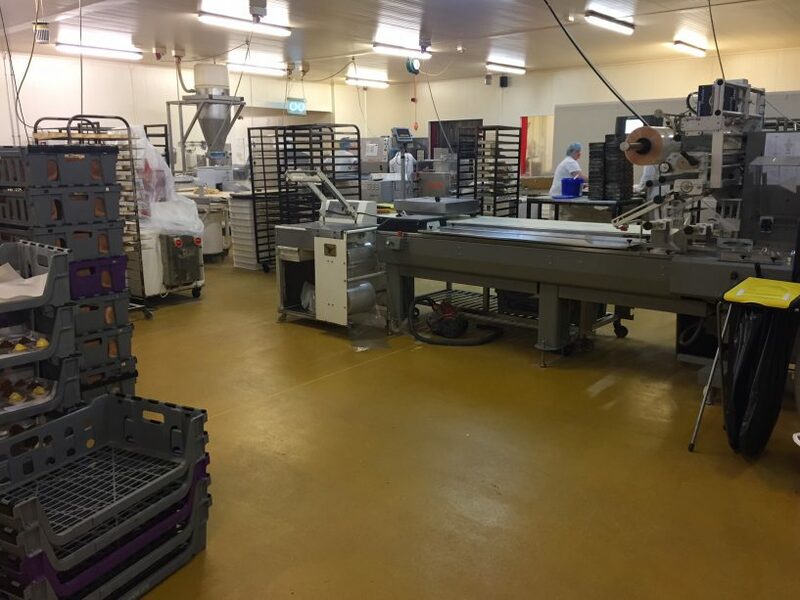 IFT laid our PU resin floor in February 2002. Over 15 years later the floor is still in great condition despite being worked on for 20 hours a day. 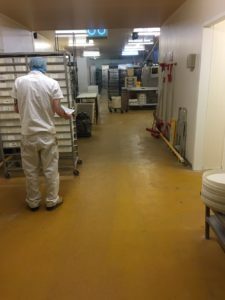 Its non-slip properties mean that its well suited for bakeries like ourselves where flour could cause slips on a non resistant floor. It withstands hot racks and chemical resistance from fats and sugars on a daily basis. 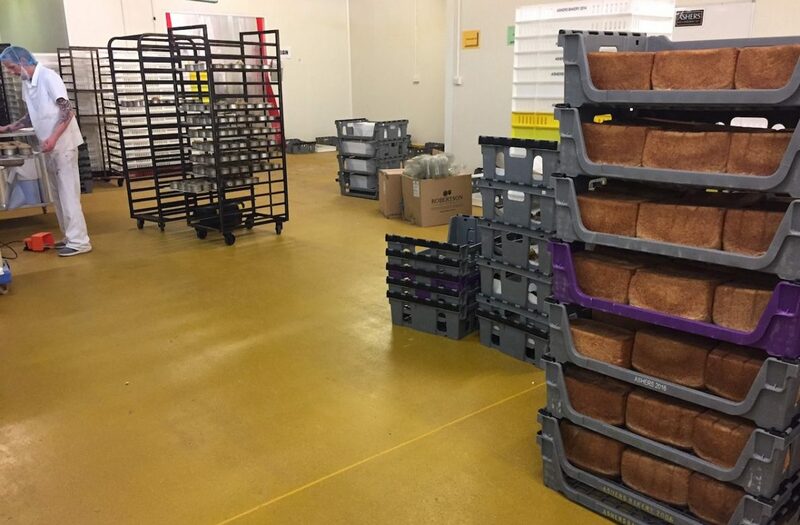 When we built our new bakery back then we’d heard of nightmares from other companies who had laid inferior floors and then trying to correct them. Fortunately, or maybe by investing wisely, we’ve have not had any such issues.